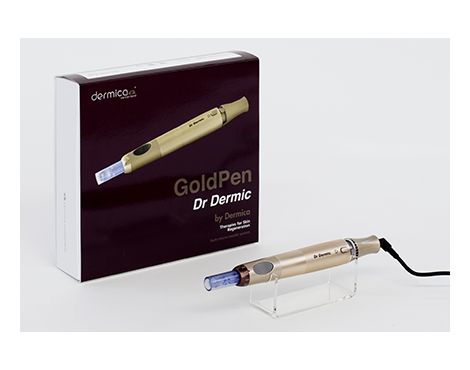 Dr Dermic GoldPen is the newest device in microneedling technology. 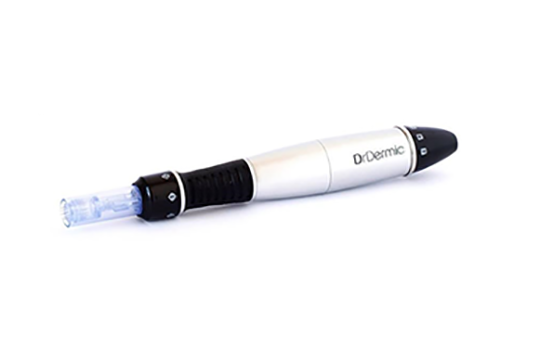 The Dermica Pen is the most professional & hygienic automated microneedling device on the market. 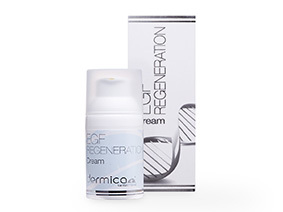 Dermica Solutions are specifically designed with active ingredients, suitable for multiple skin conditions. This home use device naturally increases the levels of collagen and elastin in your skin. The passage of time causes cells to age, decreasing the synthesis of many of those essential for maintaining youthful skin. 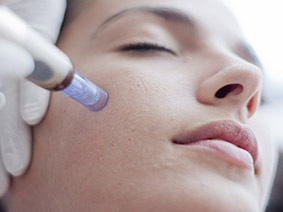 As such, there is a reduction in the production of hyaluronic acid (HA), responsible for the level of tissue hydration, and Epidermal Growth Factor. The Dermica Solutions have been delveoped in switzerland by a team of highly experienced pharmasists, bichemists and doctors. 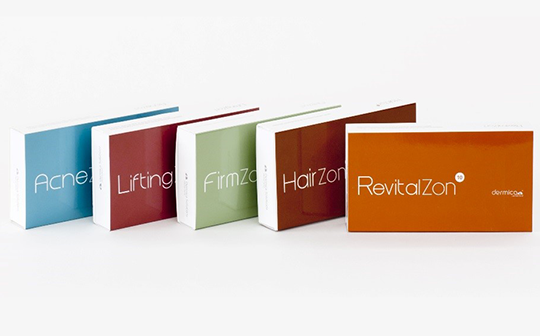 There are different cockatils with specially designed active ingredients suitable for different skin issues. 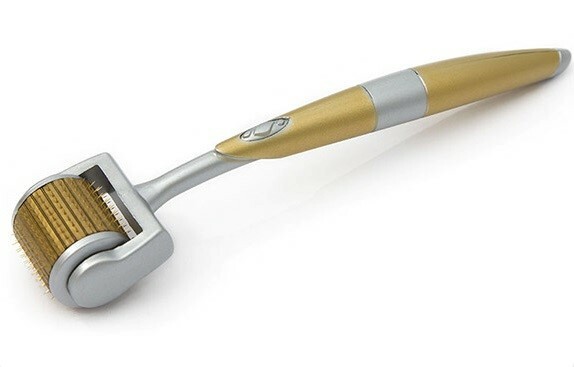 Dr Dermic GoldPen is the newest device in microneedling technology. The GoldPen is a lighter and faster device, making it more comfortable for the therapist to use as well as providing an even better treatment for customers.